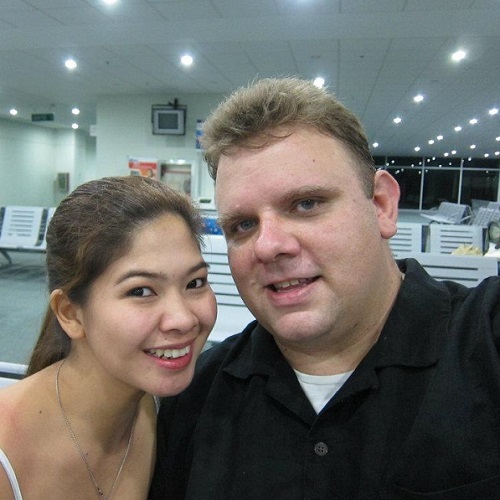 We’ve left the Philippines and arrived September 15th, 2014 in Chiang Mai Thailand – our first stop on what we hope will be an amazing, whirlwind tour of all the places we want to go and see. We found a neat, loft-style place on the 3rd floor of a 3-story building. It’s a really nice place and feels like home – much better than the small condo we stayed at in Manila for a week. Life in Chiang Mai feels very much like a Thai version of Davao – the place we lived previously. It’s awfully relaxed, safe, and the people are really friendly which makes for a great and easy place for expats to live. We still have plenty of other places we’re looking forward to checking out (Bangkok, Ho Chi Minh, Bali, etc.) but I do see why so many expats call Chiang Mai home. If I’m being honest, I’ve had a bit of a struggle with the concept of working on the road – it’s hard not to feel like we’re on vacation while traveling. I’ve noticed that just sitting down and “doing the work” helps to keep me a bit more focused. Justin and I have worked out that we’ll do the “touristy stuff” at least one day a week. That way, we’re able to get everything done and still have time to relax and see the things we want to see. We’re not in any rush, so taking our time will work, I think. As part of those touristy experiences, we’ve had a chance to ride the elephants, hang out with the tigers, etc. These are things we’ve done before, but we wanted to take Arlene with us this time around so that she could experience these things as well. One of the things we were really looking forward to was connecting with so many other expat entrepreneurs that were in the same position as us. Luckily, there seem to be quite a few couples in Chiang Mai and we’ve had a BLAST connecting with them, hearing their stories, and sharing some awesome experiences. Most expats in Chiang Mai seem pretty happy and the cost of living is so low that they’re able to provide a really nice life for themselves, even without a lot of money. Justin and I have both been sick for a couple of days – probably because of the weather? The change from hot during the day to cloudy/cold at night probably hasn’t been great for us. Luckily, I was able to bring some medicine with me from the Philippines that I was familiar with and helped us get back on our feet. They have medicine in Thailand, obviously, but I’d rather take things I’m familiar with. 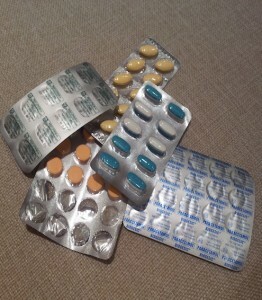 That’s probably a good tip if you’re just starting your travels, actually – consider taking some of the medicines you know with you so you’re not stuck taking something new/different in a place that’s unfamiliar. On the motorbike point – I WOULD say that Chiang Mai is an excellent place to get started if you’re new – way better than Ho Chi Minh, Bankok, etc. The streets are much less crowded, the traffic moves much slower in most places, etc. Most people we talked to said they couldn’t imagine Chiang Mai without a motorbike, but we managed OK and didn’t find it to be too much hassle getting around. I actually wanted Justin to try it the last week and was asking about it, but he ended up flaking out on me and not getting one. 🙂 I think that’s something we’ll look at the next time we’re in town. One experience we had that was pretty weird was when we were trying to catch a “Songtaew”. (The Thai version of a Jeepney) There were several instances where the driver pulled over for us, talked to the Thai people in the back, and had them get out to make room for us. How rude is that? We felt pretty bad about it and decided to just refuse any drivers that already had passengers – we didn’t want them to be rudely kicked out of the ride to make room for us, heh. 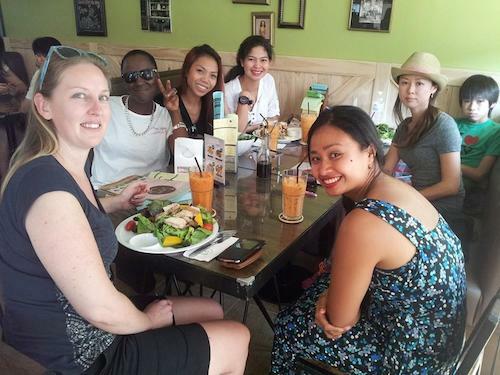 Overall, we really enjoyed our time in Chiang Mai. Things became really busy the last two weeks with all of the preparation for work, events, etc. We were looking forward to spending some time in Bangkok and then arriving in Ho Chi Minh in late November! 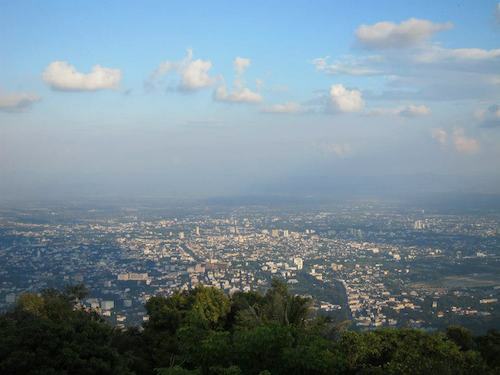 Chiang Mai looks awesome. Hoping to be location independent one day! It’s pretty similar to Davao, people are nice and very friendly. You should visit Chiang Mai someday Dan. You will like it there! So far, is there anything you miss about Davao, excluding Family? 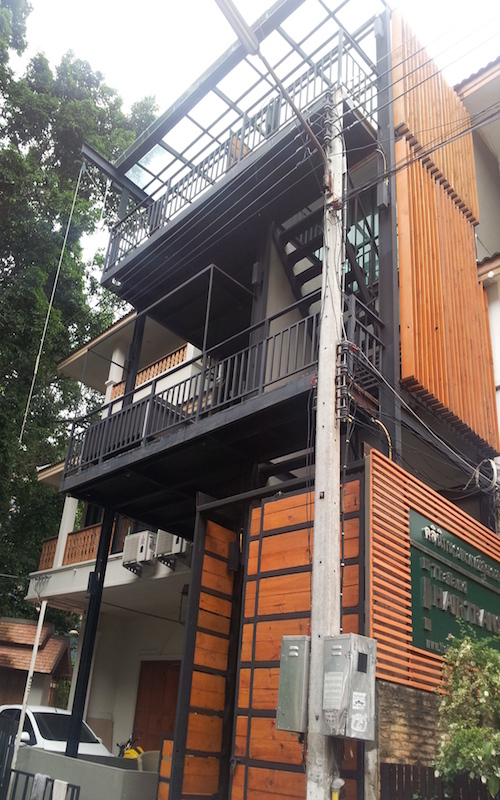 Thanks for your sharing, especially the house, I would like to visit Chiang Mai someday with my family.